What does it mean to be poor in spirit? It’s a valid question. If you casually read Jesus’ words in Matthew 5, and don’t take the time to study what it is that Jesus is saying, it can become very frustrating. After all, who talks like this today? When Jesus talks about the poor is spirit is is speaking of those who recognize their spiritual poverty apart from Christ. We need to live lives of complete surrender and complete dependence upon God. On our won, we are spiritual debtors in need of God’s touch. Jesus came to pay our debt, and in doing so offered us life everlasting. In the past couple of days we have seen a Jesus who called people to repentance, and called people to become fishers of men. Now as Jesus begins his great Sermon on the Mount, Jesus is calling his followers to live lives of surrender. Want to join in the great adventure of kingdom living? Then start with recognizing that you can’t get into the kingdom based upon your merits and accomplishments. We need Christ! And, He wants us. So, spiritually bankrupt one, cheer up, blessed are the poor in spirit, for to you belongs the kingdom of heaven. We are spiritually bankrupt apart from you. Thank you for taking debtors and making us princes and princesses in the kingdom of heaven. Help us to live our lives making deposits in the economy of the kingdom. We love You and want to make You known to the world around us. To God be the glory, great things You have done. Do great things in us and through us. My brother Randy loves to fish. In fact, of all of the men that I know in my life, Randy is the biggest fisherman of them all. When it is summer time, my brother will often times go fishing in the golf course ponds behind his home. He’s been known to spend his birthdays taking trips from his home in Illinois to Tennessee to go fishing with his father-in-law and some close friends. The guy loves to fish. So did Peter and Andrew. Peter, commonly believed to be the oldest of the disciples was a fisherman by trade. So was his younger brother Andrew. They were fishermen because they didn’t make the cut to become a Rabbi. Every Jewish parent had a dream for their child. They wanted their child to become a Rabbi. The Jewish educational system consisted of three distinct levels of education. The first level was Beth-Safar. This was for children aged 5-10. In this level they would memorize the Torah, word for word. The education took place at the local tabernacle, synagogue or in the case of Jerusalem, the temple court. The second level of education was called Beth-Talmud. This was for children aged 10-14. During this stage of education they memorized the rest of the Old Testament. When a child reached age 14 he could apply for Beth-Midrash. If he passed the test, which only a small percentage (less than 5%) did, the student would reach the final level of education. If not, they were sent back to learn the trade of their father, with the encouragement to have lots of children and pray that one of them would become a Rabbi. The final level of education allowed the students to study the law and the prophets, and to begin to learn how to interpret the law and the prophets. There were so many interpretations of the law that a student would pick a Rabbi whom he respected and whom he believed to correctly interpret the law. When they followed the Rabbi, they took the Rabbi’s “yoke” upon them. Which means that they agreed to take the Rabbi’s interpretation of the law with them. Peter and Andrew’s fishing career paralleled their father’s career, but it was not their first choice. They would have preferred to have taken the Rabbi course. When Jesus, the new Rabbi, asks them to follow Him, they are given a new lease on life. They leave their nets and follow Him. The Rabbi had chosen them! Jesus had chosen them! And, if you are a believer in Christ, then Jesus has chosen you too! He has chosen you for a task that is difficult, at times scary, at times feels thankless, and one that offers the greatest joy ever afforded to men and women. Jesus invites you to be a fisher of souls. Jesus invitation to Peter and Andrew would leave them forever changed. Both men eventually became martyrs for Christ. Christian tradition says that both Peter and Andrew were crucified, like the Rabbi that they followed. Peter was crucified upside down because he did not consider himself worthy to die in the same way as Christ did. Andrew, Peter’s constant companion in the Gospels had become a missionary in the Grecian colony of Achaia. He was fishing for souls when he was arrested and eventually crucified. The martyrs of the first century helped spread the news of Christianity. It is good news. And yet today, so many of us cower at the telling of it. May the blood of the early martyrs and the call of God spur us on to share his word. Let’s go fishing! Are you ready? You have called us to spread Your Word. You choose to use weak vessels for the pronouncement of the greatest and the strongest message ever given to mankind. Help us to not cower in the face of opposition. Help us to live for Your glory and Your renown. We thank You for the example of the earliest followers of You. Help us to honor You like they did. Our Speaker This Sunday Is. . . God! It’s been a while since I’ve taken the time to meditate upon a short passage of Scripture. These last several weeks have been crazy with a lot of life transition. As most of you know, I will begin a new phase of life on June 1, when I become the Senior Pastor of Woodbury Community Church. I can’t tell you how excited I am to begin this new role. For the past several weeks my devotional time has consisted of taking turns reading the Bible with my two youngest sons (who are trying to read through the Bible in a year), reading sections of several books (I’ve become a fan of David Nasser’s book A Call To Die, and occasionally reading the Bible on my own. Today, I decided to try to get back in the habit of blogging on what God is teaching me as I read His word. It was a couple months back that I finished the Psalm 119 experiment, where I blogged on a verse a day for 176 days through Psalm 119. It changed me. My appreciation for the Word of God, and the law of God increased. I think it wore me out on blogging for a while though. I wrote at the time that I was going to try to blog through the words of Christ that are written in the Gospels. I was going to try to go through them from Matthew-John, which meant repeating many of the words and not necessarily blogging in chronological order. Instead, I’m just going to focus on the words of Christ as spoken in the book of Matthew. So, I’m back. And, this is where I left off last month. In Matthew 4:17 Jesus began to preach. Did you catch those words? If not let me type them real slow for you: Jesus began to preach! I’m a preacher. As a preacher, I love listening to good preaching. I can sit in front of a television set fascinated by Billy Graham’s preaching. I have a few preachers that I love to listen to on the Internet. I love when you can tell that the Holy Spirit takes over when a human being is preaching. There is something powerful about seeing God move through a man or woman to accomplish His purposes. But, this verse is talking about God preaching. Picture it with me. . . Our speaker this Sunday is. . . God! “No one ever spoke the way this man does!” (See John 7:46) all of the time! Wouldn’t you love to have God as the preacher every week? Those words follow an ancient prophecy from Isaiah 9:1-2. Jesus was in Capernaum when he began to preach his message of repentance. Capermaum was located by Zebulun and Naphtali. Jesus’ first sermon fulfilled Isaiah’s prophecy. He came to be the light for people who were living in darkness. Jesus Christ, and the sermons that he preached continue to offer light to the world today. Many of my friends who are opposed to Christianity say that they dislike all of the talk about repentance. They don’t like the idea that Christians judge others. I don’t like judgmental Christians either! Christians aren’t called to judge, nor are we called to be the judge. Jesus is. Jesus Christ, our God who taught as no other because of His authority, called people to repentance. We need to heed His message. We need to find out what it is that He wants us to repent from. We do know that when he called people to repent, He also called them to live in His Kingdom. The Kingdom of Heaven is better than anything that this world has to offer. Jesus says that that Kingdom is for today. As people who have been forgiven by Him, we who are Christ-followers have a mandate to live for Christ and to reflect His kingdom to the world around us. May it be so. And, when we are in sin, may we be quick to repent, for the kingdom of heaven is near. You have blessed us beyond measure. You taught and Your word continues to teach us today as no one or nothing else can. Help us to reflect You and Your kingdom as You would have it look to the world around us. I came across a fascinating blog post yesterday as I was surfing the web. It’s by a guy named Benson Hines. He’s a seminary student at Southwestern Baptist Theological Seminary, where he is working on his M.A. in Theology. While studying, he is conducting a fascinating experiment. He’s traveling to churches all across the nation to see what they are doing to reach young adults with the Gospel. This past Sunday, Benson visited the Twin Cities. He attended a number of churches including, The Rock, Bethlehem Baptist, Sanctuary Covenant, Solomon’s Porch, Wooddale Church’s Gathering Service, and Bethel University’s Vespers Service. As I read his post, I have to admit that I got a bit tired! What a day. The churches that Hines visited are all churches that I am familiar with. I have the privilege of serving at Wooddale and have friends that either serve at or attend all of these other churches. It was great to read what a visitor thought about what he experienced. If you are a student of churches or how churches are ministering to emerging generations you won’t want to miss this post. It offers a lot of food for thought. Almost seven years ago, God gave our family one of the greatest gifts that we have ever received. He brought us to Wooddale Church. We came so that I could serve as Wooddale’s Senior High Pastor. Little did I know how much Wooddale would change me, and how much of a blessing that Wooddale would be to the Schulenburg family. We have been blessed beyond measure to be a part of such a loving and healthy church family. 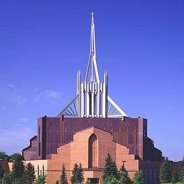 It is with mixed emotion that I write this blog post to inform you that I have accepted the position of Senior Pastor at Woodbury Community Church in Woodbury, Minnesota. 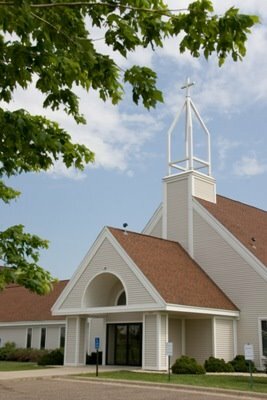 May 31, 2008 will be my last day of employment at Wooddale Church. As much as we hate to think about leaving Wooddale, we are excited about our future. We truly believe that God has called us to Woodbury Community Church. It’s a great church with wonderful people who we have felt our hearts being drawn to. You can visit the church’s web site HERE. We’d love to have you visit us some time. Our ministry at Woodbury Community begins on June 1. We value your prayers for this new phase in our lives.